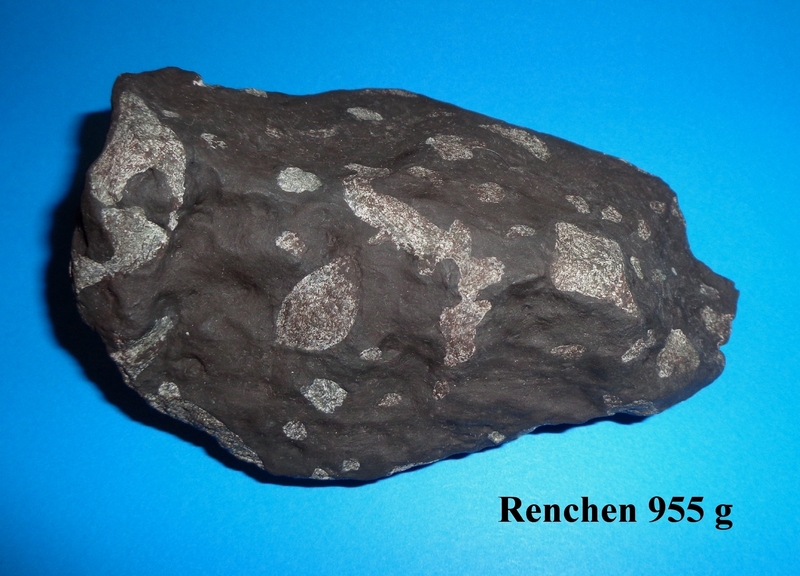 High quality cast of the *RENCHEN stony meteorite, that fell on July 10, 2018 in Baden-Württemberg, Germany. 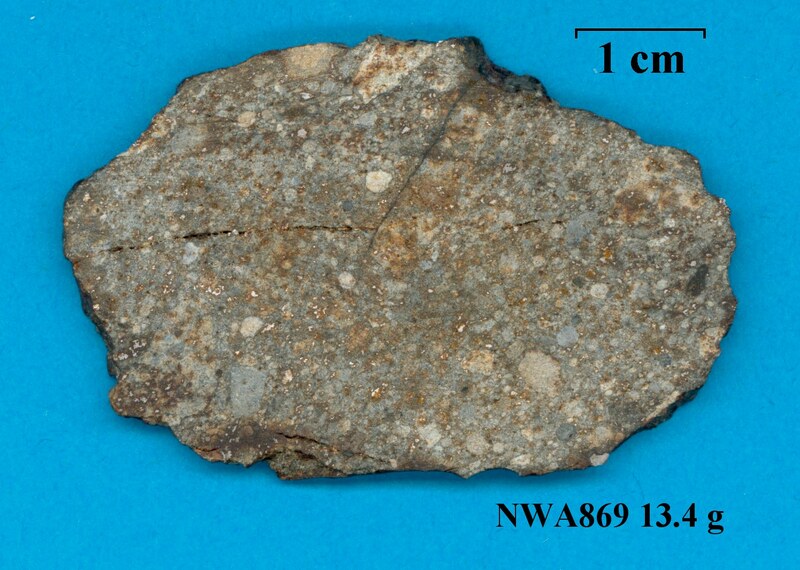 This meteorite (which is the largest piece of this meteorite fall) weighing 955 g was found on July 31, 2018 after the precise prediction of the strewn field by photographic records and the calculation of its heliocentric orbit. 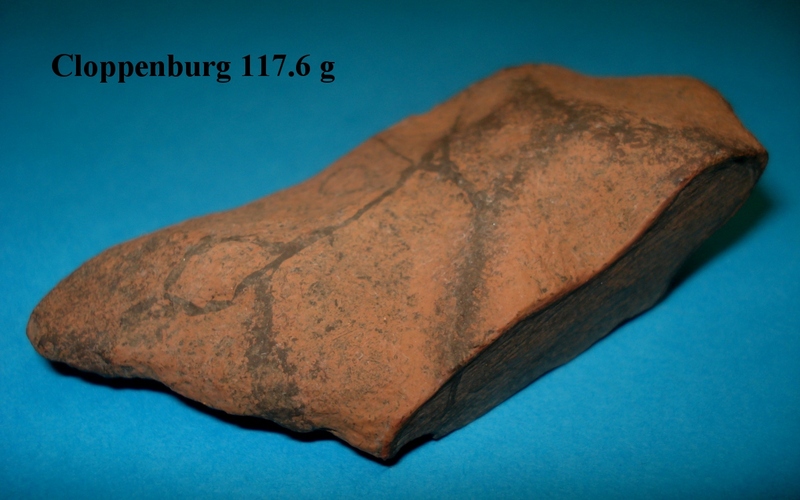 High quality cast of the CLOPPENBURG stony meteorite, that was found and recognized in 2017. 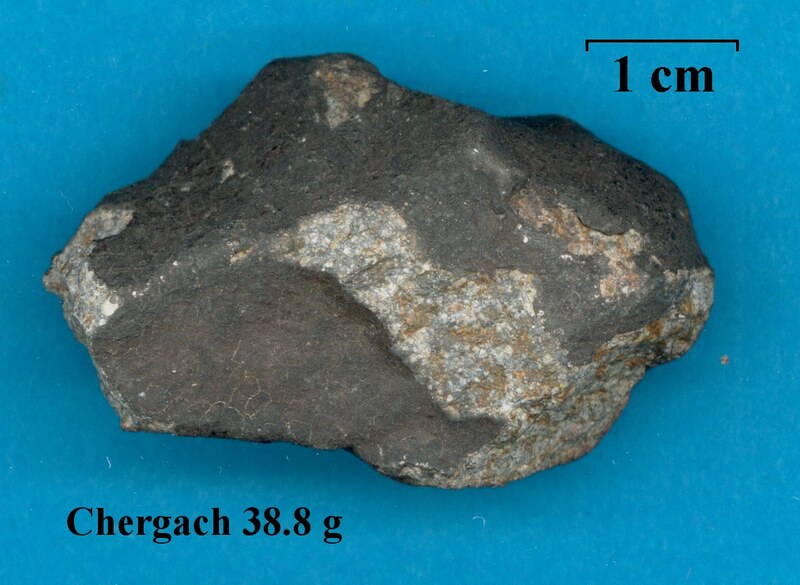 Cloppenburg is the 8th meteorite from Lower Saxony, Germany. 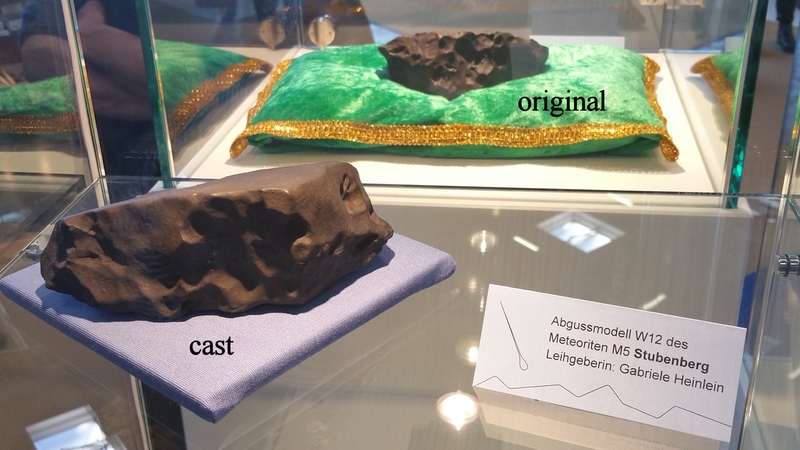 This cast was built from the cut meteorite, weighing 117 g.
High quality cast of the *STUBENBERG stony meteorite, that fell on March 6, 2016 in Lower Bavaria, Germany. 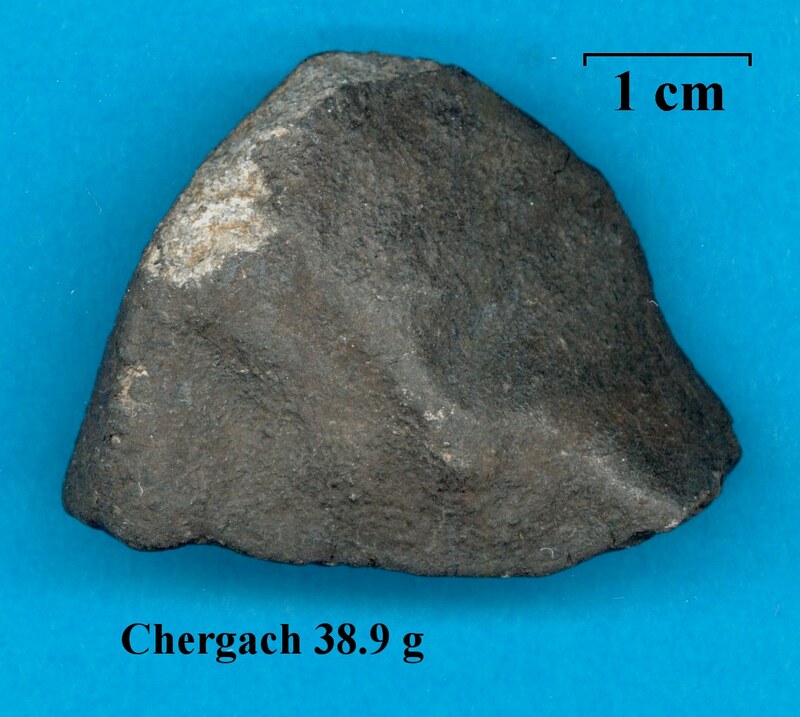 This meteorite (which is the largest piece of this meteorite fall) weighing 1320 g was found on April 1, 2016 after the precise prediction of the strewn field by photographic records and the calculation of its heliocentric orbit. 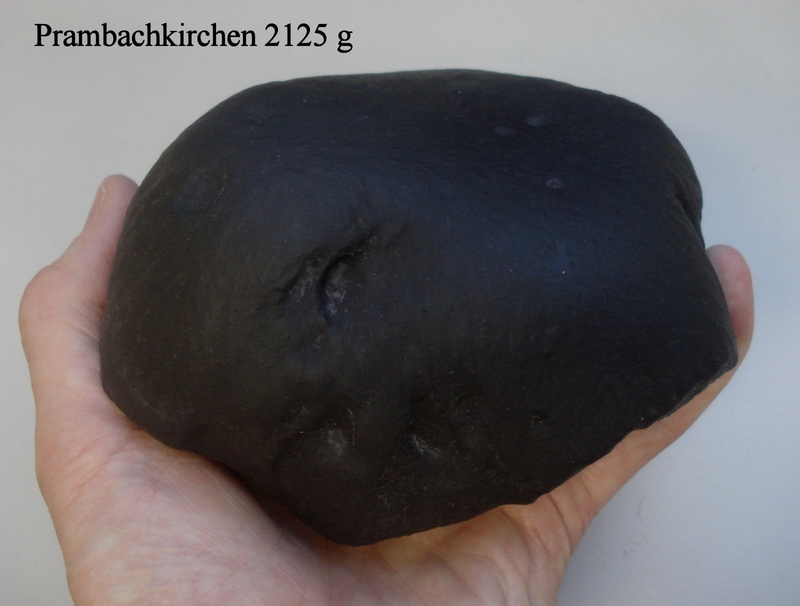 High quality cast of the *PRAMBACHKIRCHEN stony meteorite, that fell on November 5, 1932 in Upper Austria, Germany. 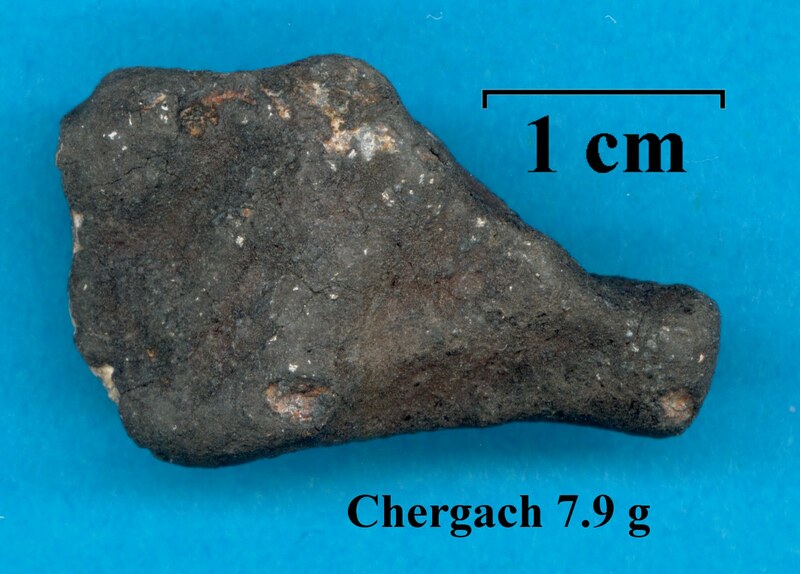 This cast was built from the flight oriented individual meteorite, weighing 2125 g.
High quality cast of the MACHTENSTEIN stony meteorite, that was found in 1956 and recognized in 2014. 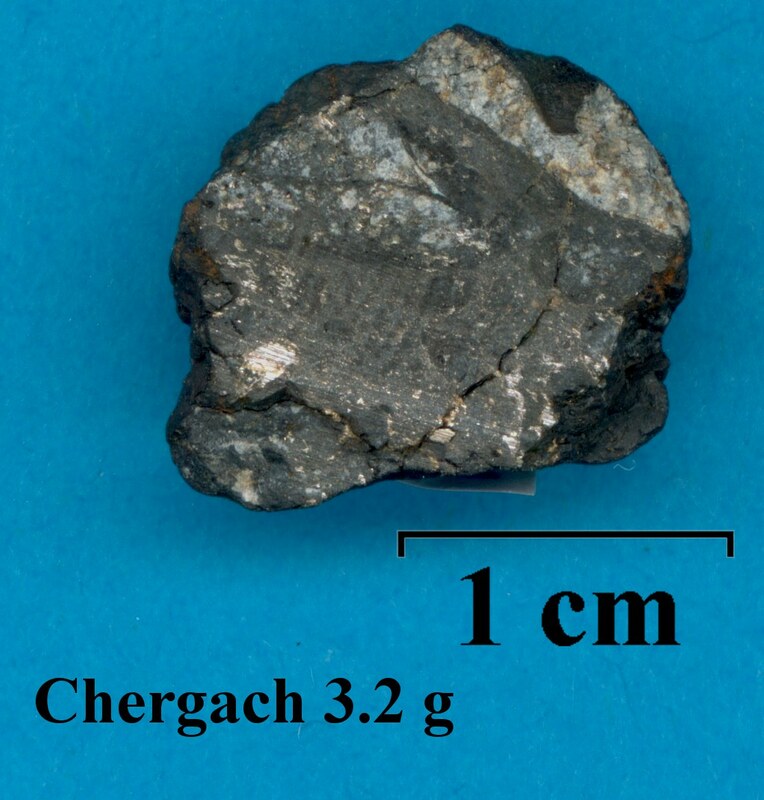 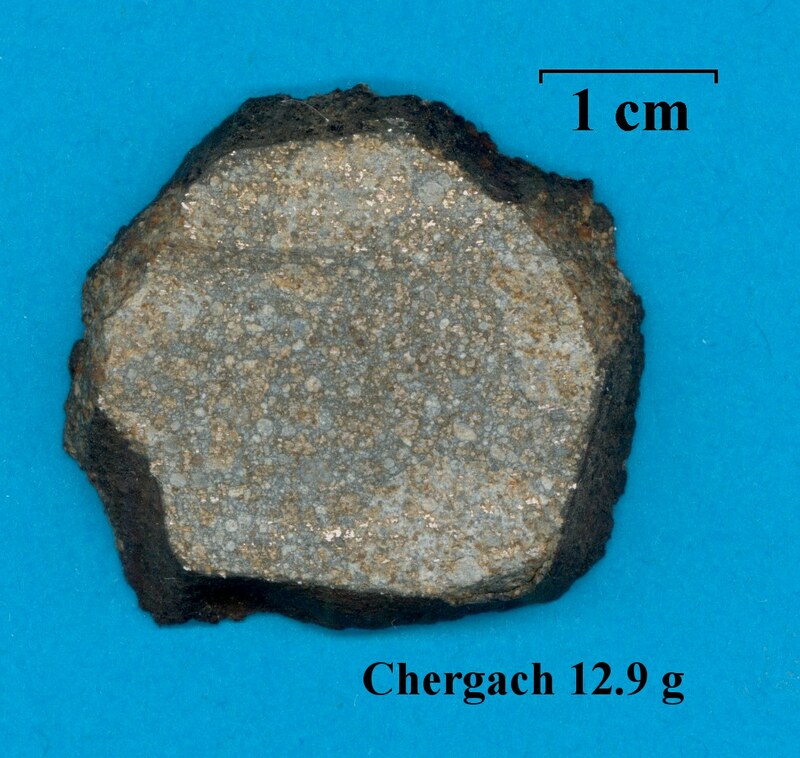 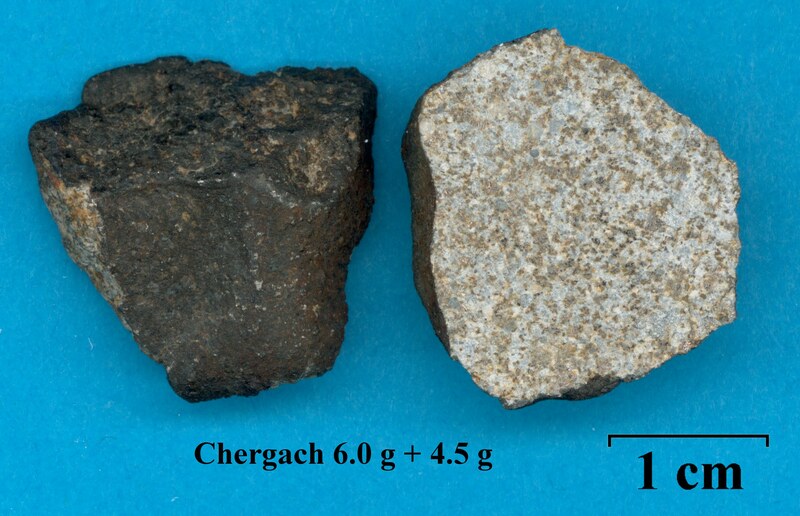 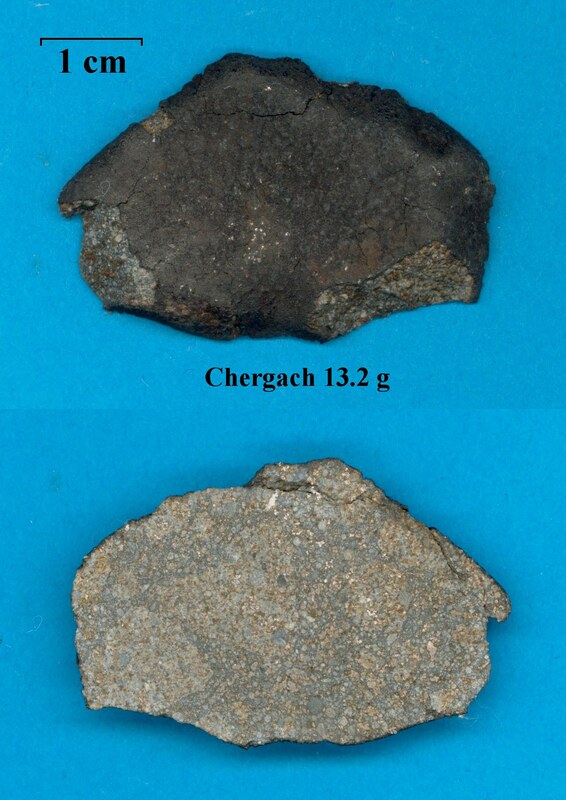 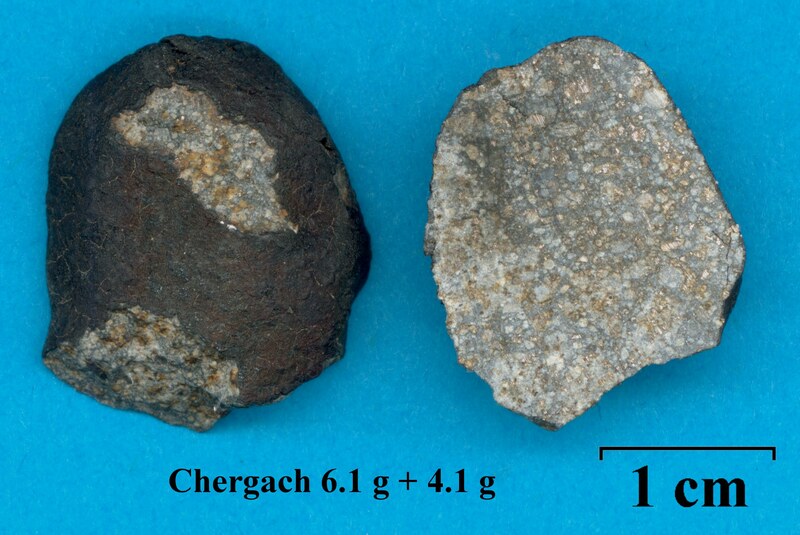 Machtenstein is the 6th meteorite from Bavaria, Germany. 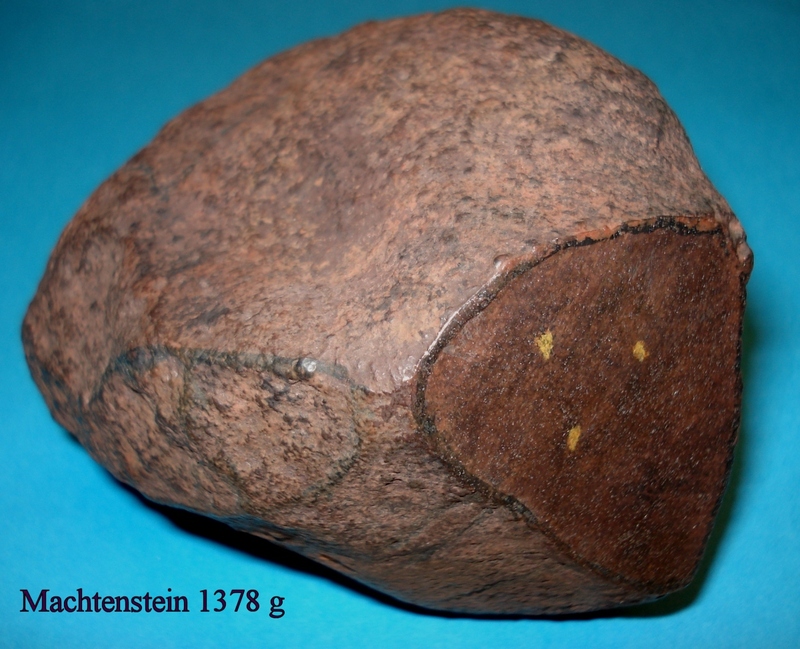 This cast was built from the cut meteorite, weighing 1378 g.
High quality cast of the MACHTENSTEIN stony meteorite, that was found in 1956 and recognized in 2014. 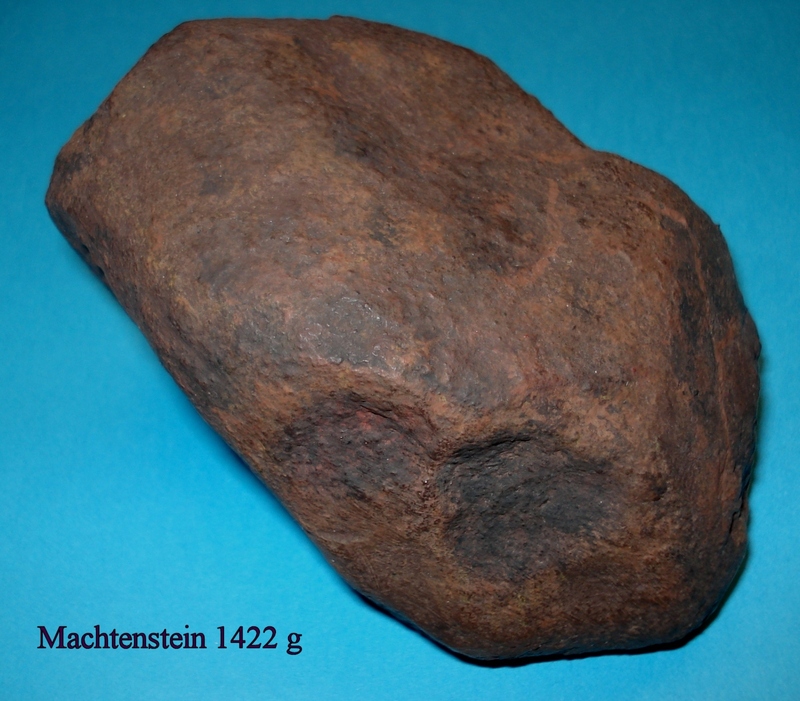 Machtenstein is the 6th meteorite from Bavaria, Germany. 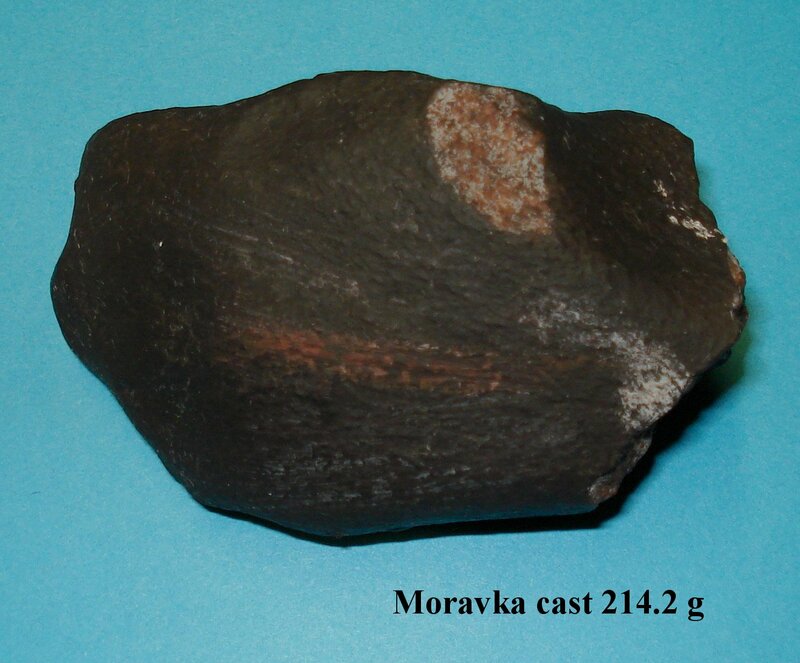 The cast was built from the rough meteorite, weighing 1422 g.
High quality cast of the *MORAVKA stony meteorite, that fell on May 6, 2000 in the Czech Republic. 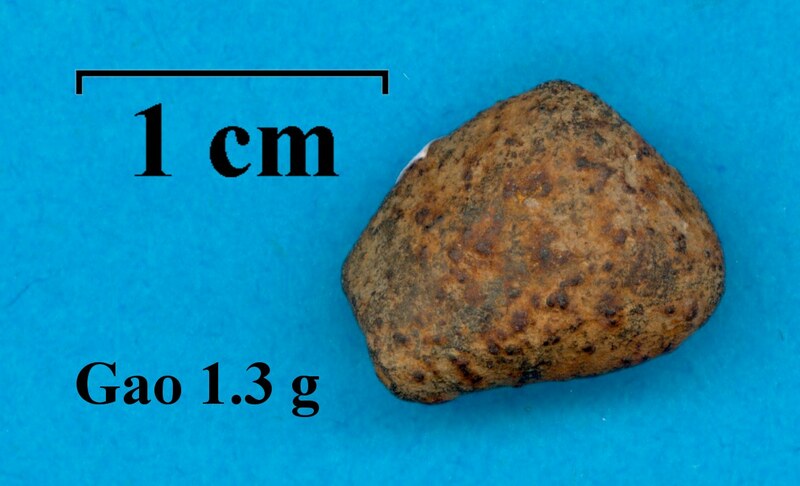 From calibrated video records of the daytime fireball it was possible to determine the atmospheric trajectory and heliocentric orbit of the meteoroid. 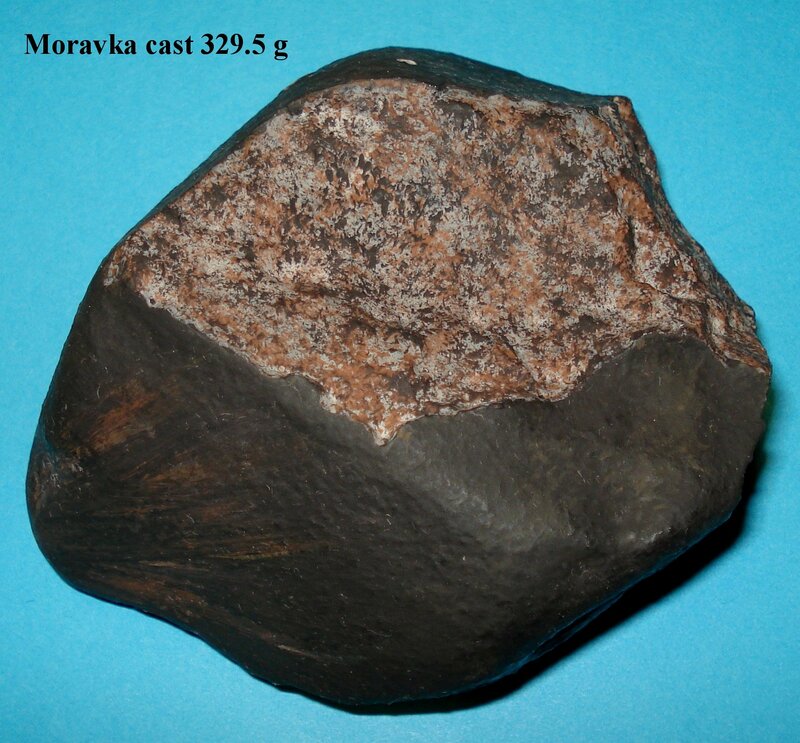 This cast was built from the meteorite fragment, weighing 212.4 g.
High quality cast of the *MORAVKA stony meteorite, that fell on May 6, 2000 in the Czech Republic. 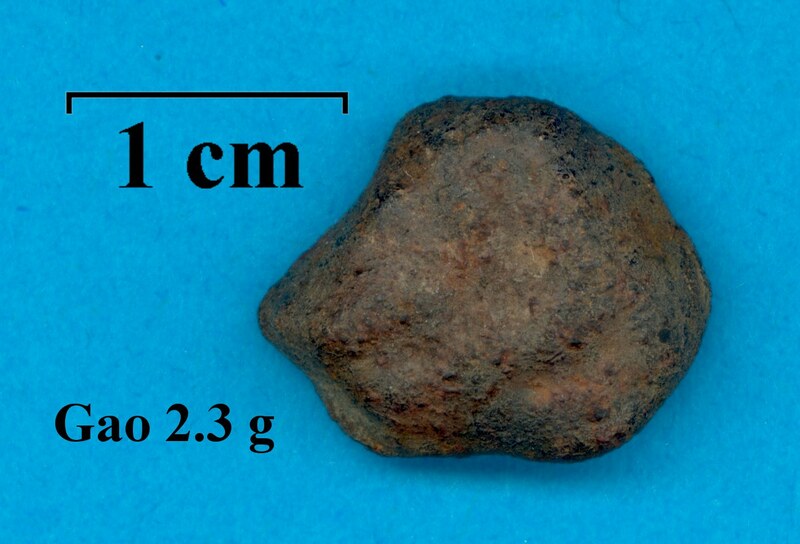 From calibrated video records of the daytime fireball it was possible to determine the atmospheric trajectory and heliocentric orbit of the meteoroid. 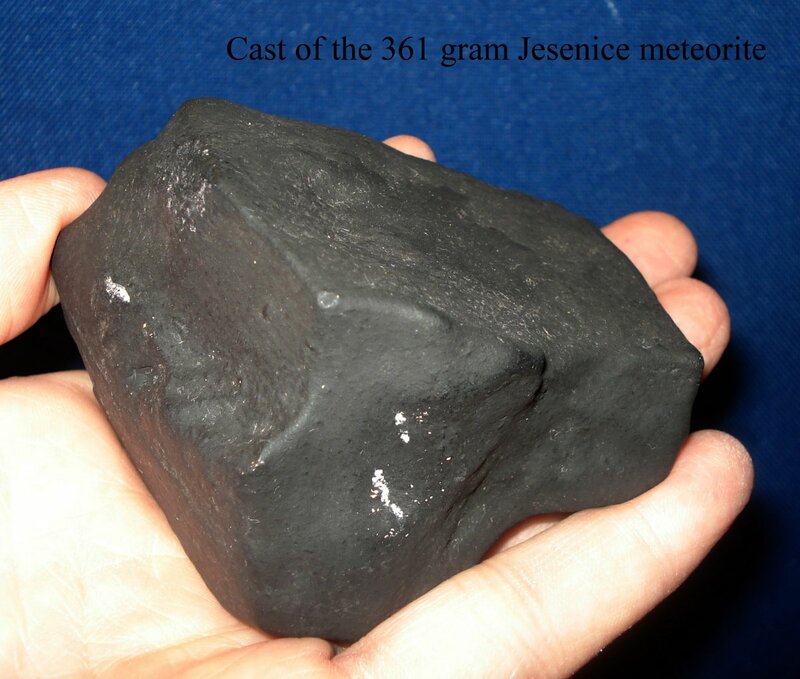 This cast was built from the meteorite fragment, weighing 329.5 g.
High quality cast of the *JESENICE stony meteorite, that fell on April 9, 2009 in Slovenia. 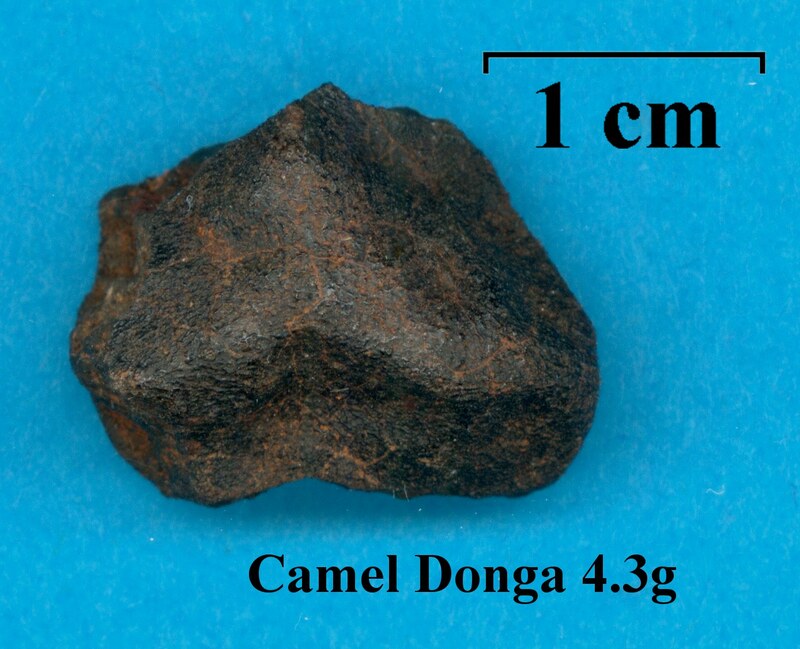 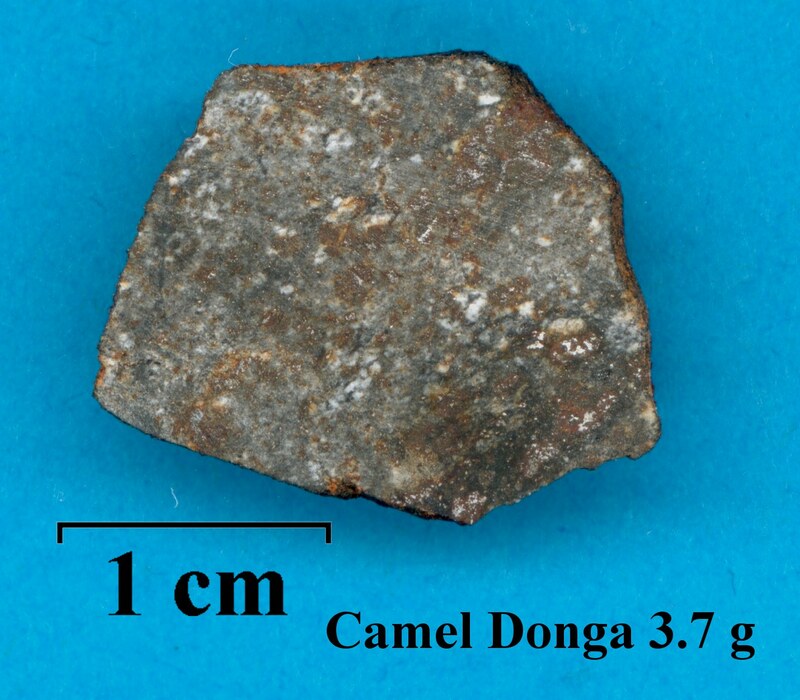 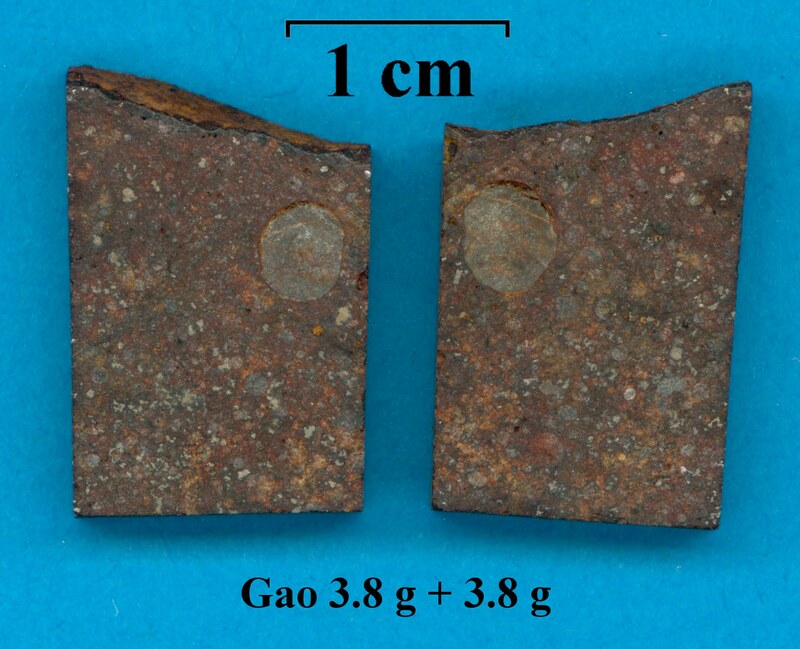 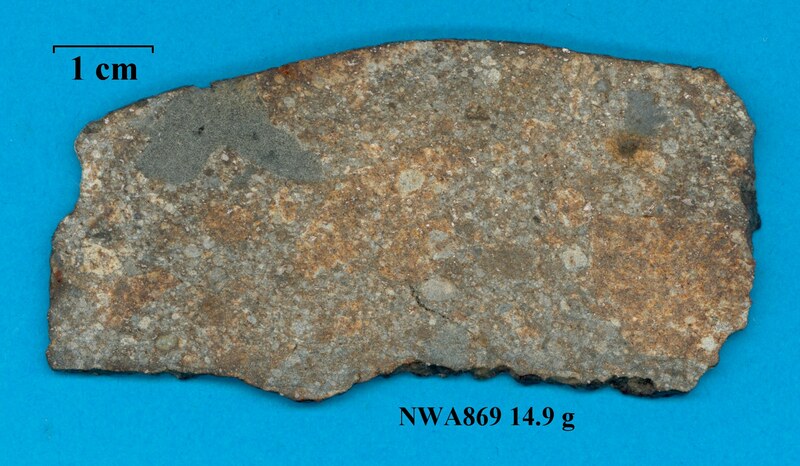 This meteorite fragment of 361 g (the second one of three pieces) was found on July 21, 2009. 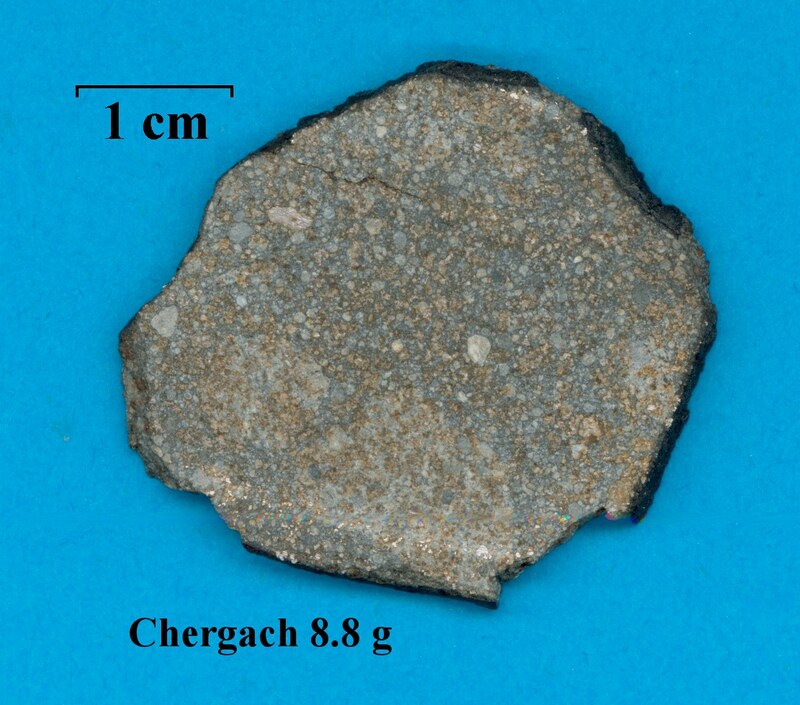 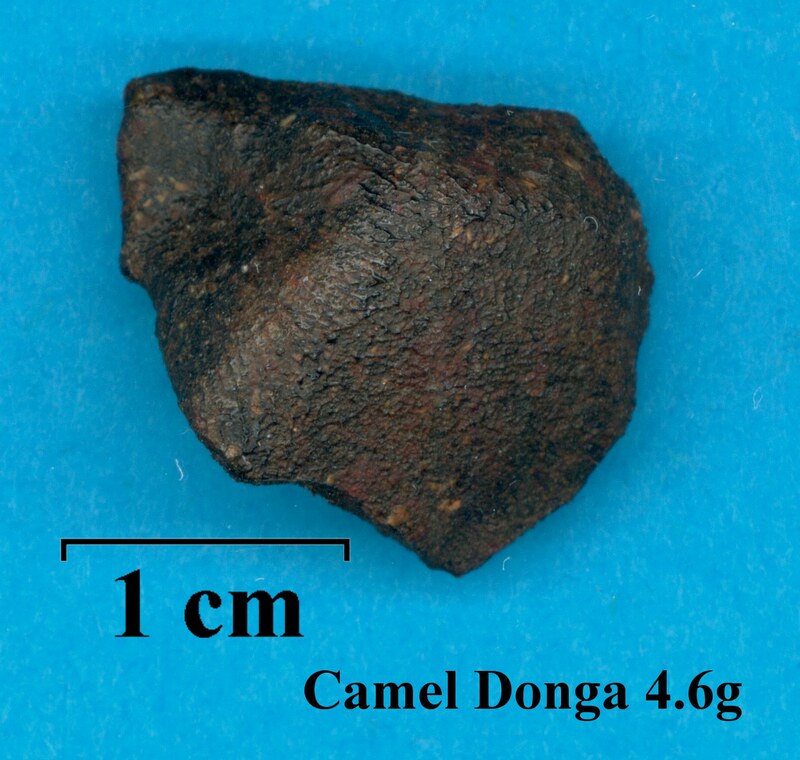 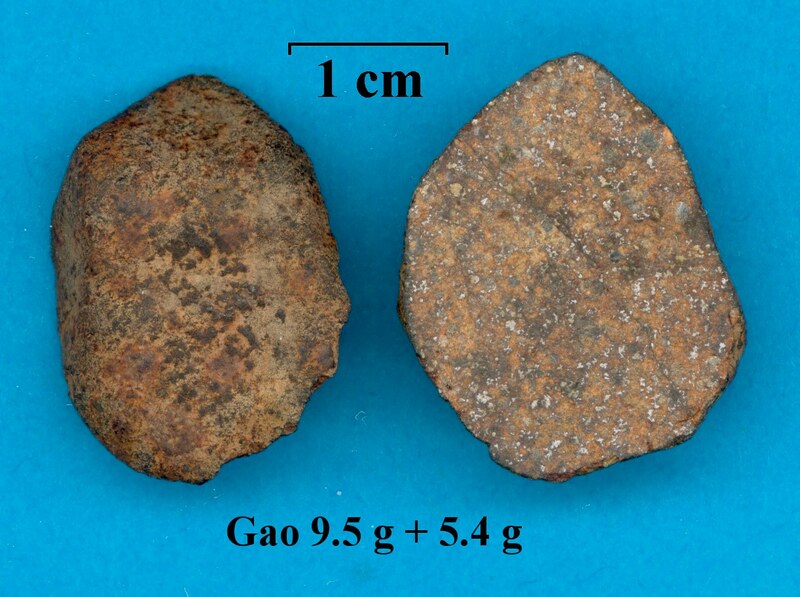 By reduction of photographic and video records, the atmospheric trajectory and heliocentric orbit of this meteorite was calculated. 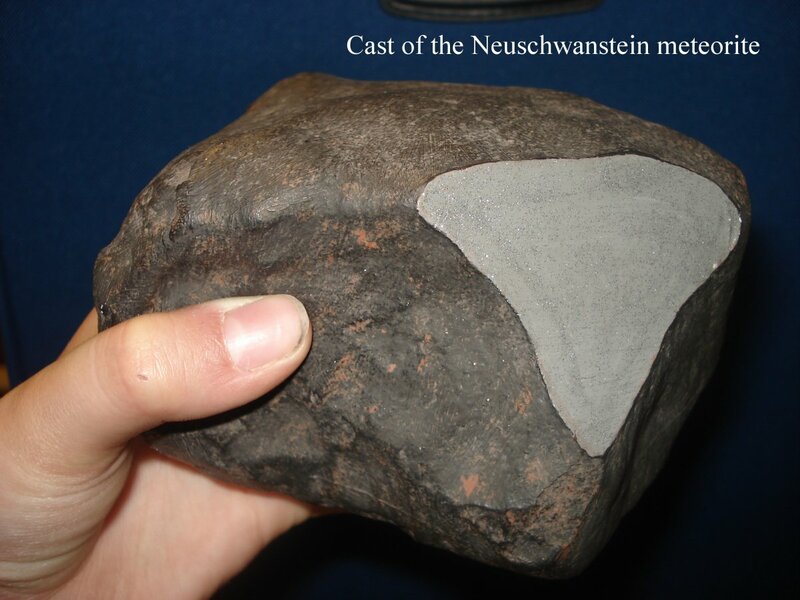 High quality cast of the *NEUSCHWANSTEIN stony meteorite, that fell on April 6, 2002 close to the famous Neuschwanstein castle in Bavaria, Germany. 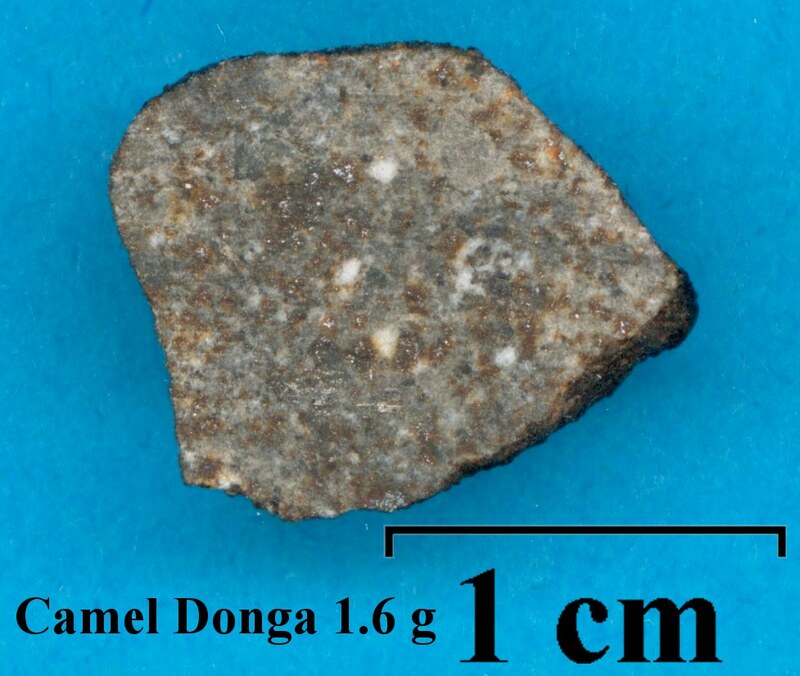 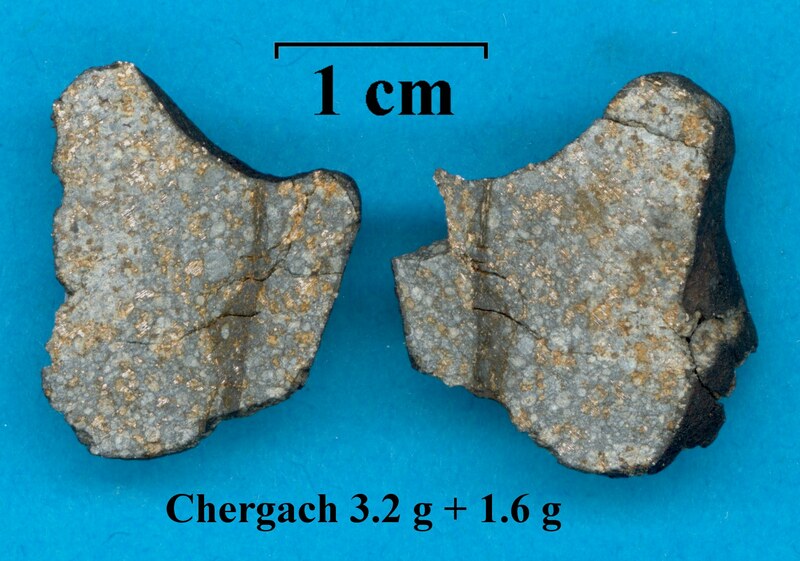 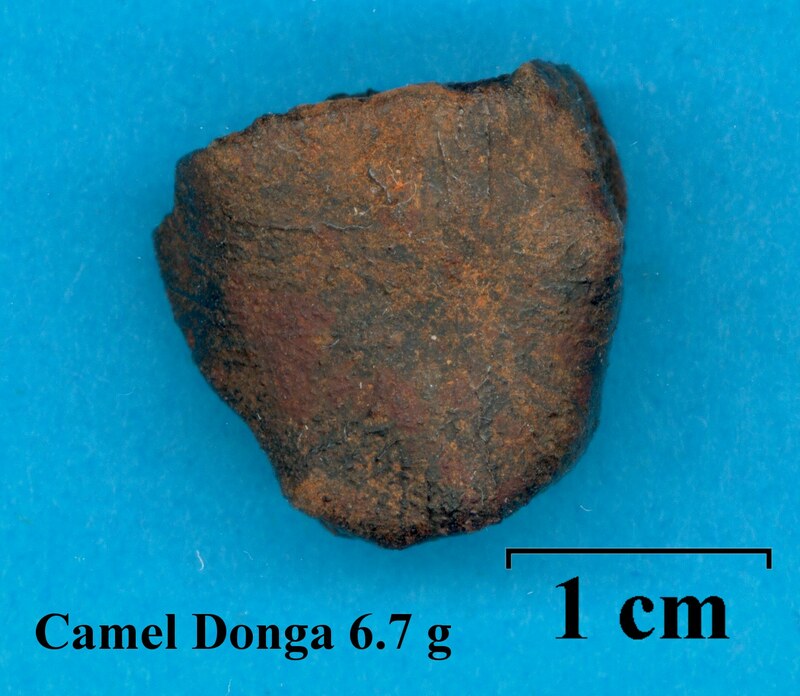 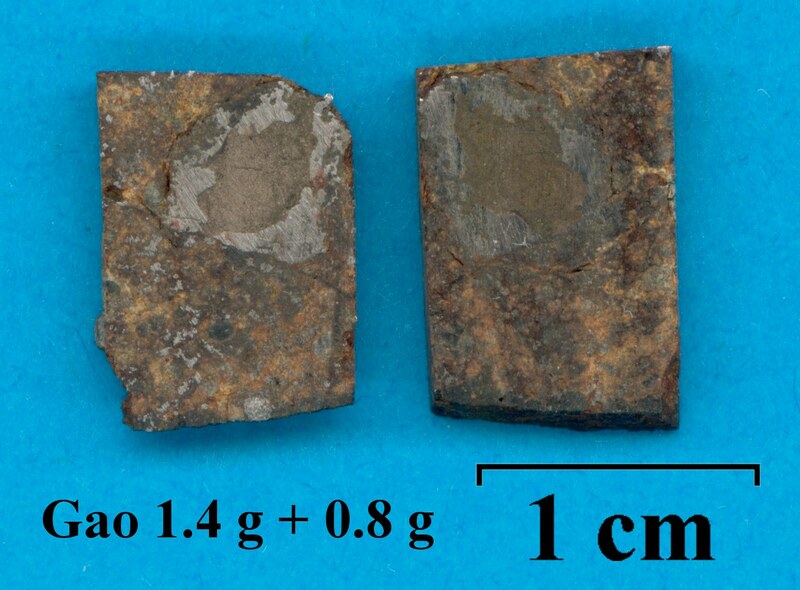 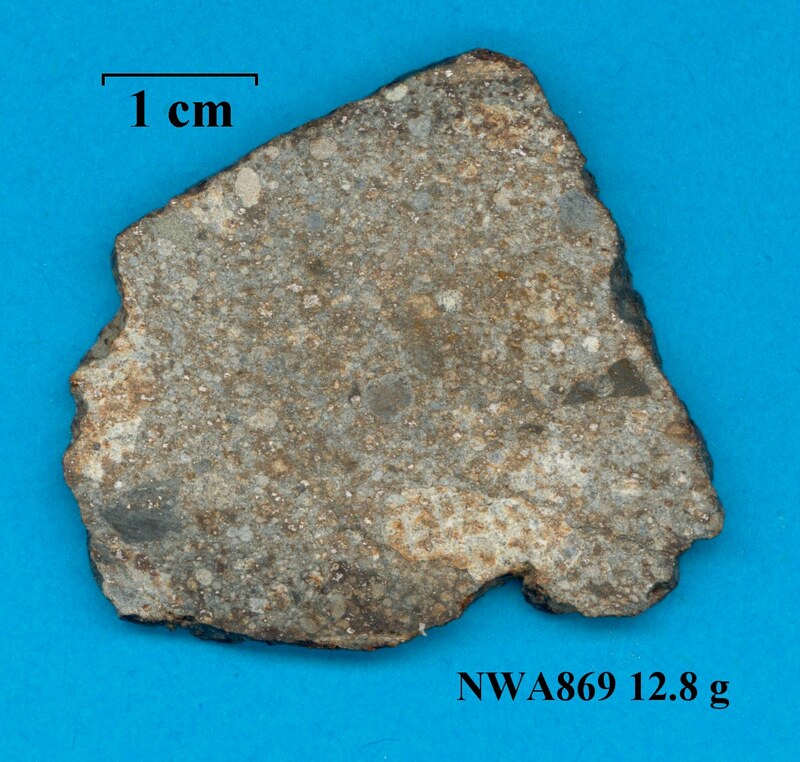 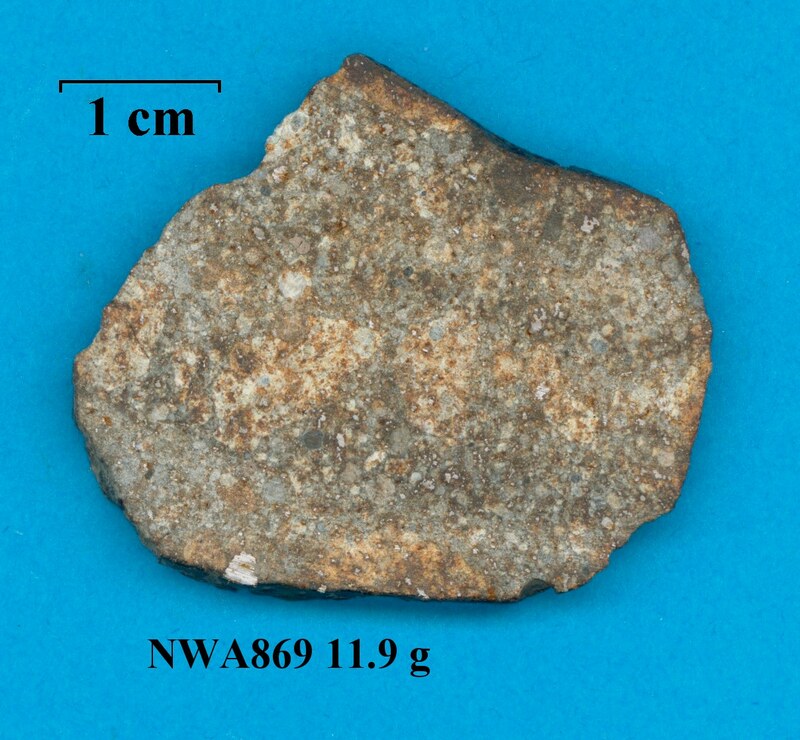 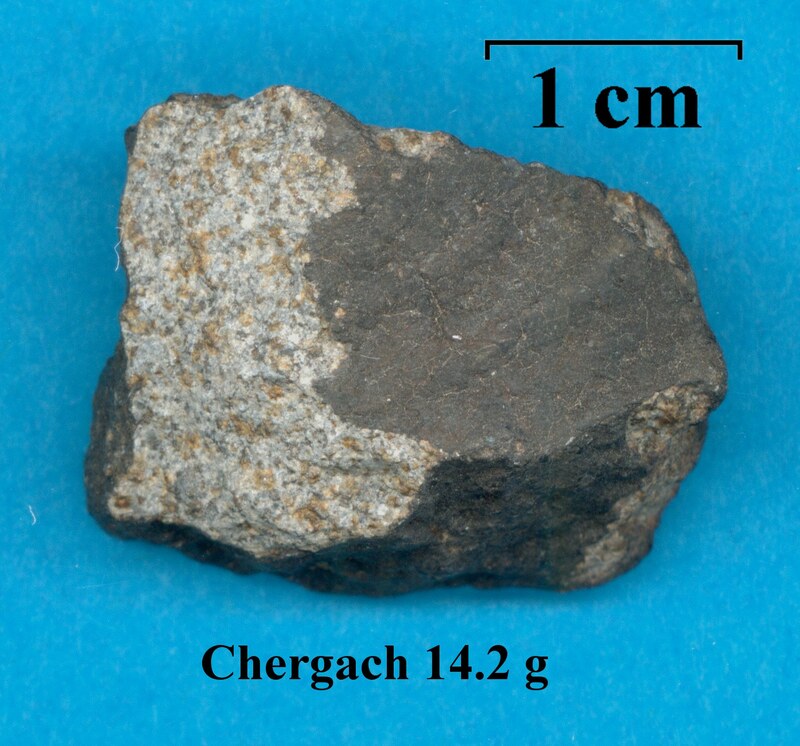 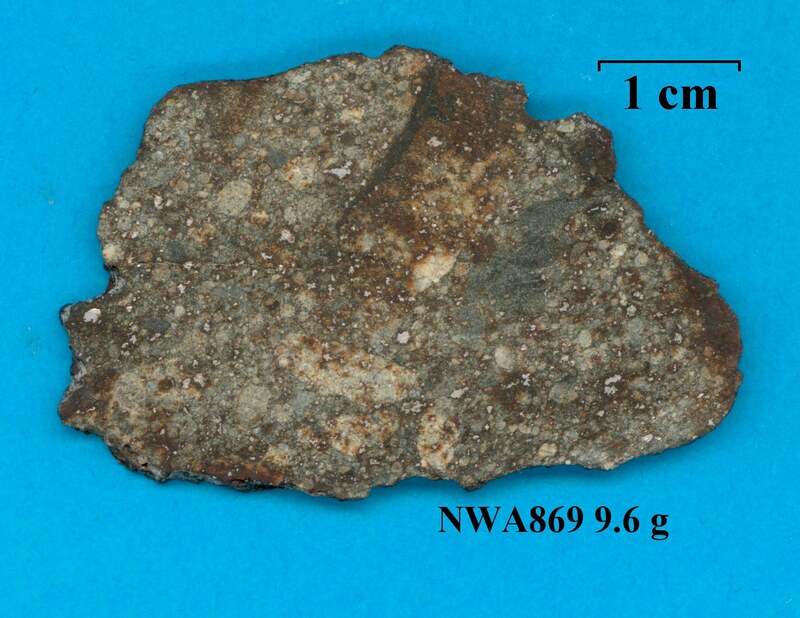 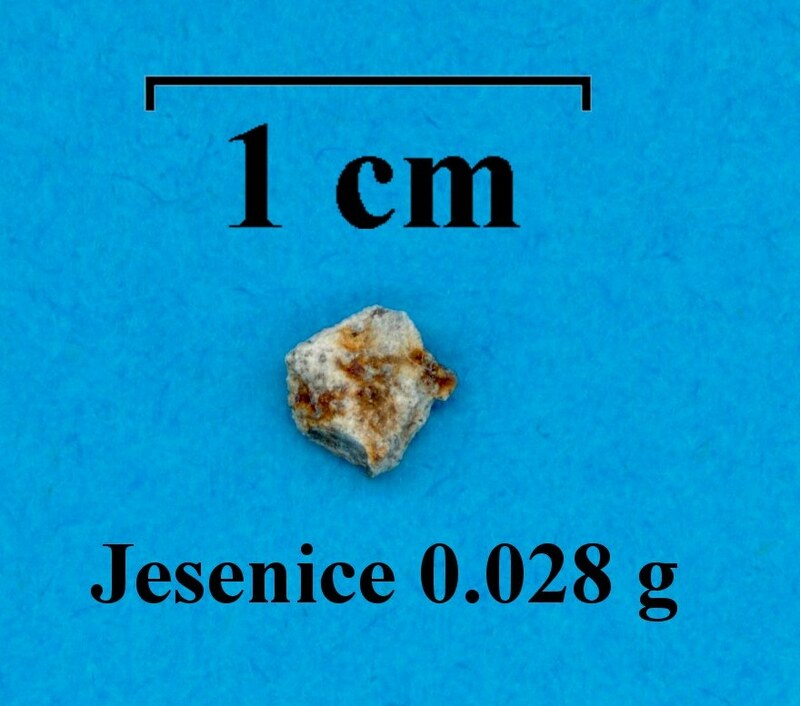 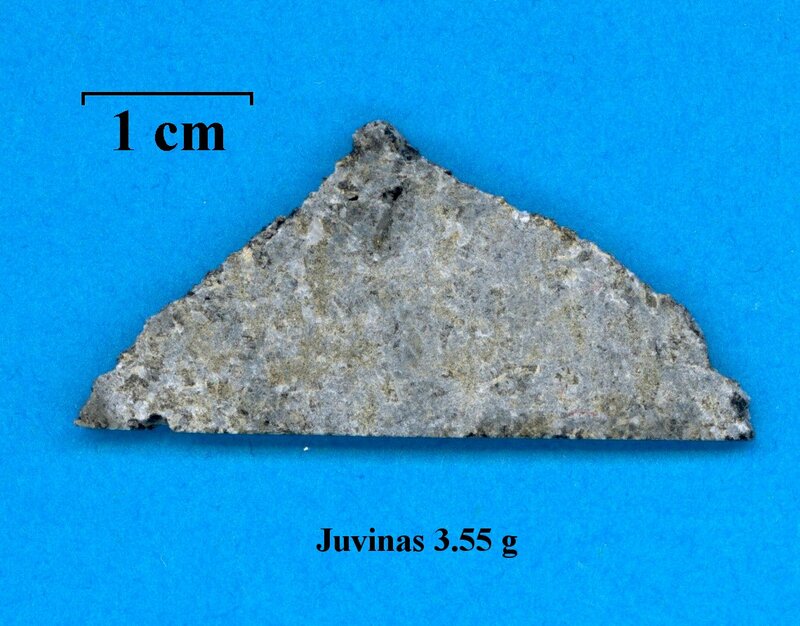 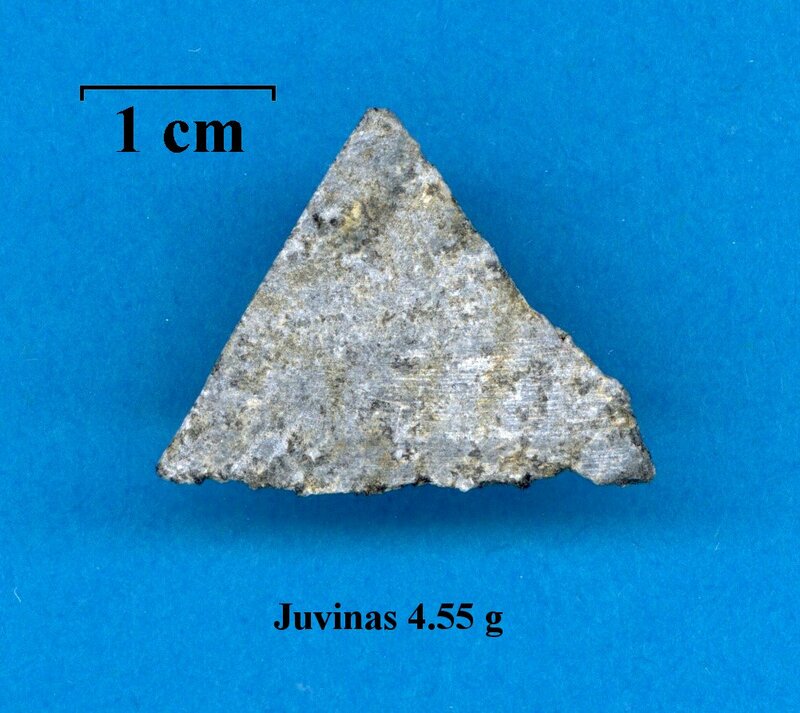 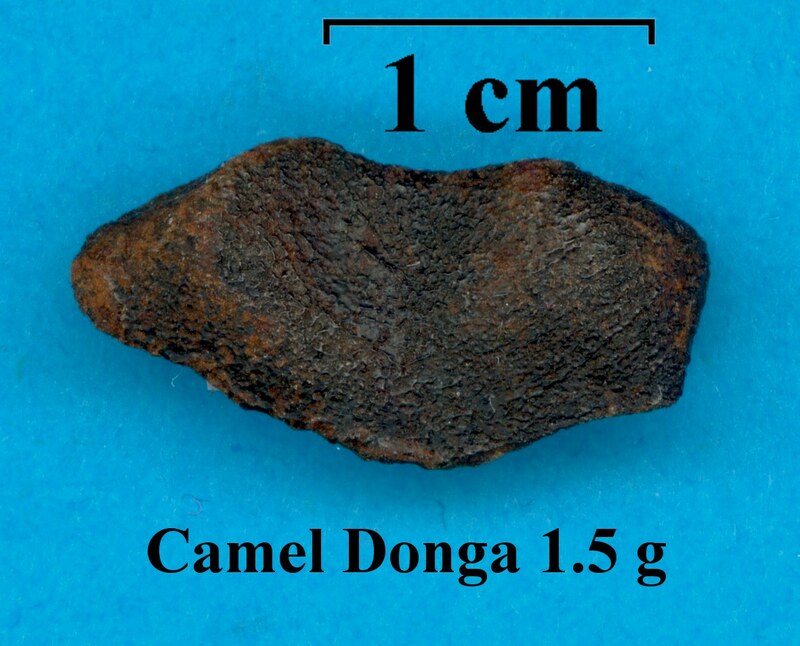 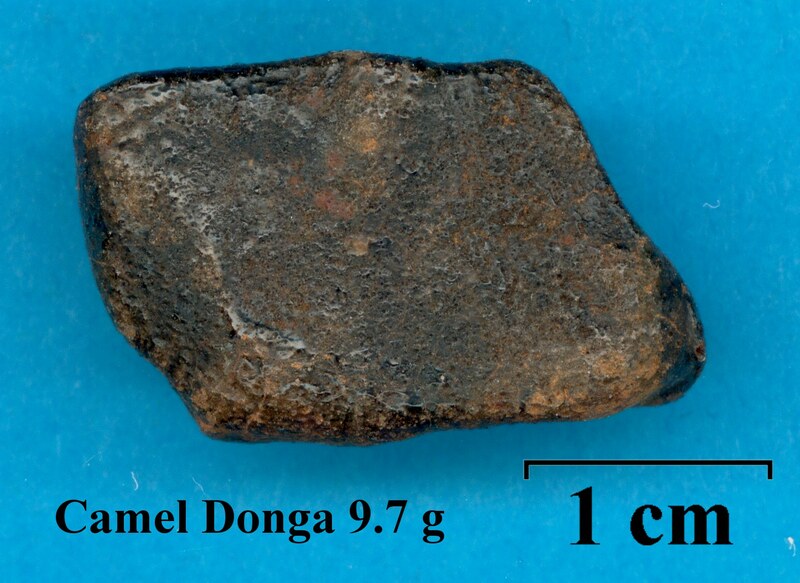 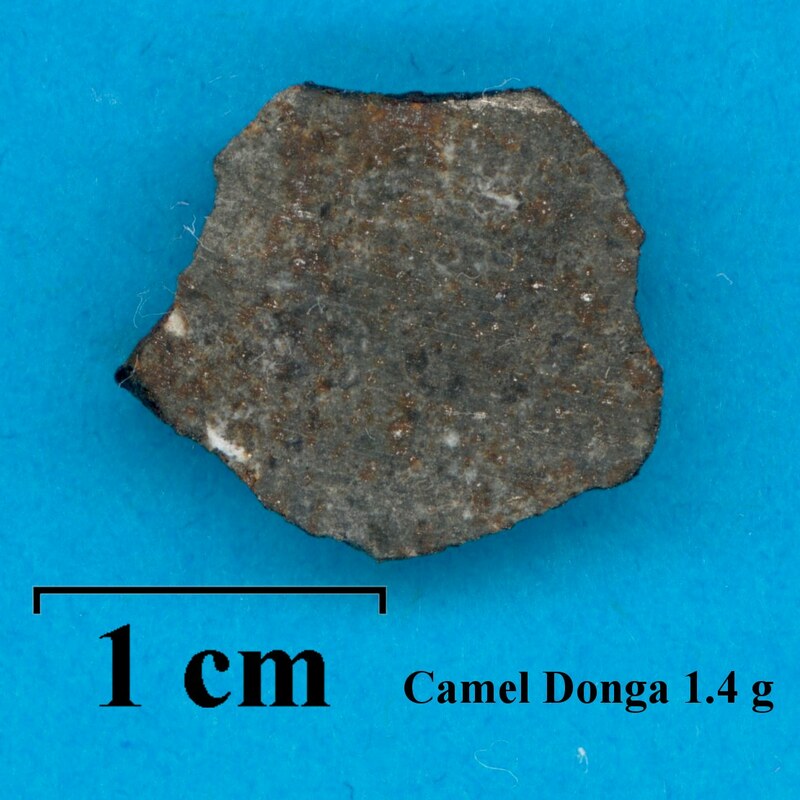 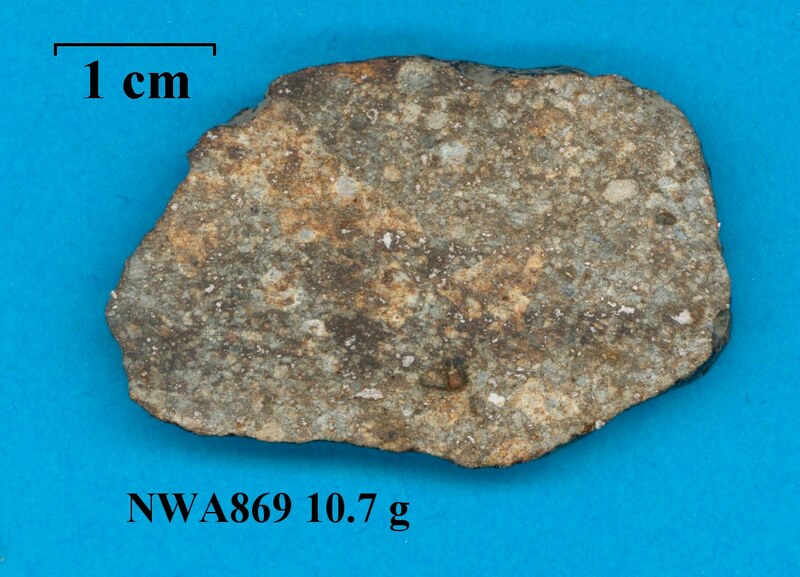 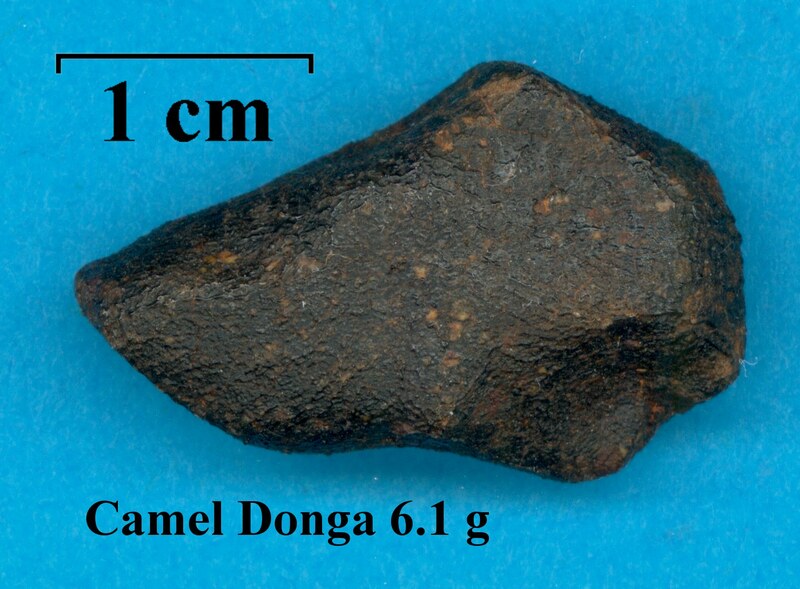 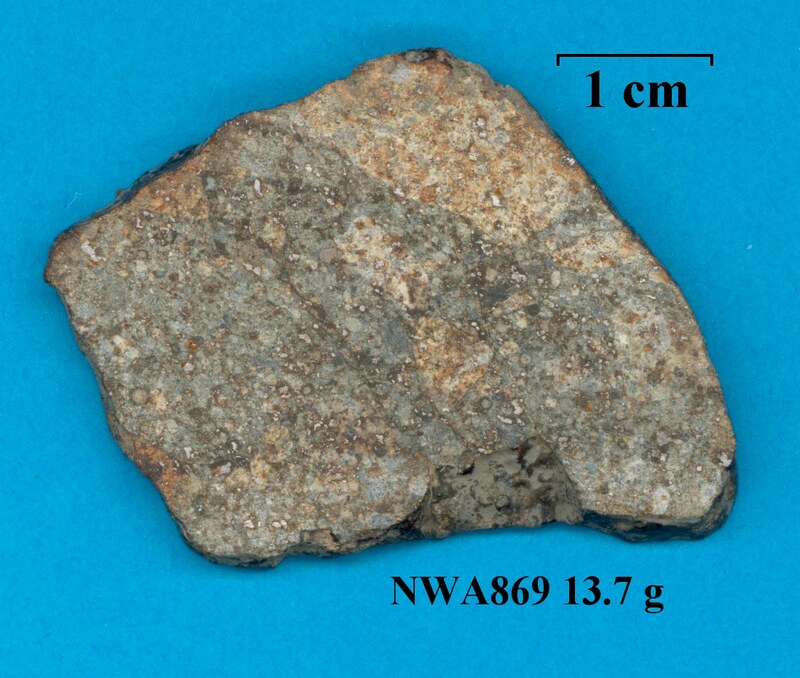 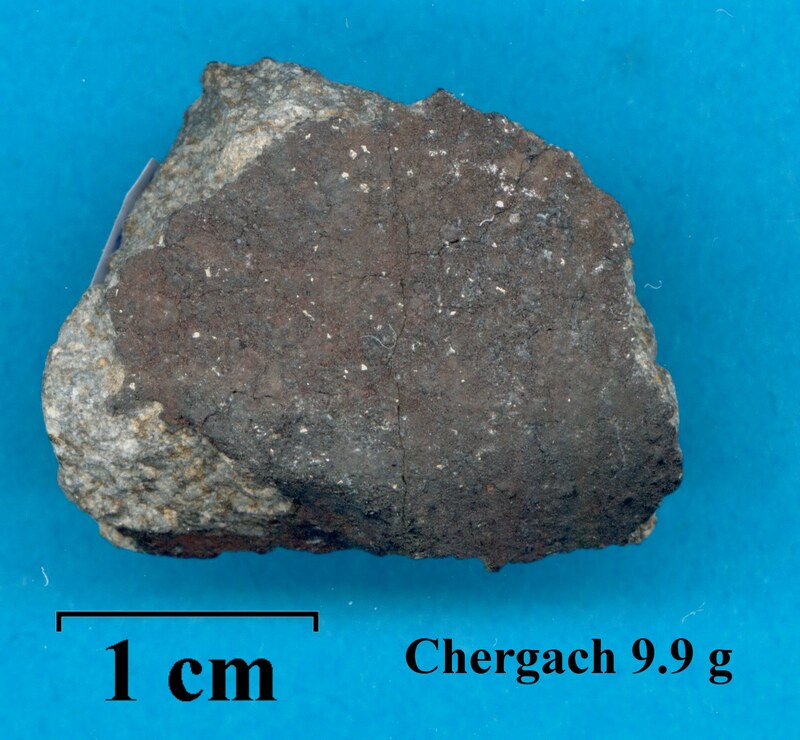 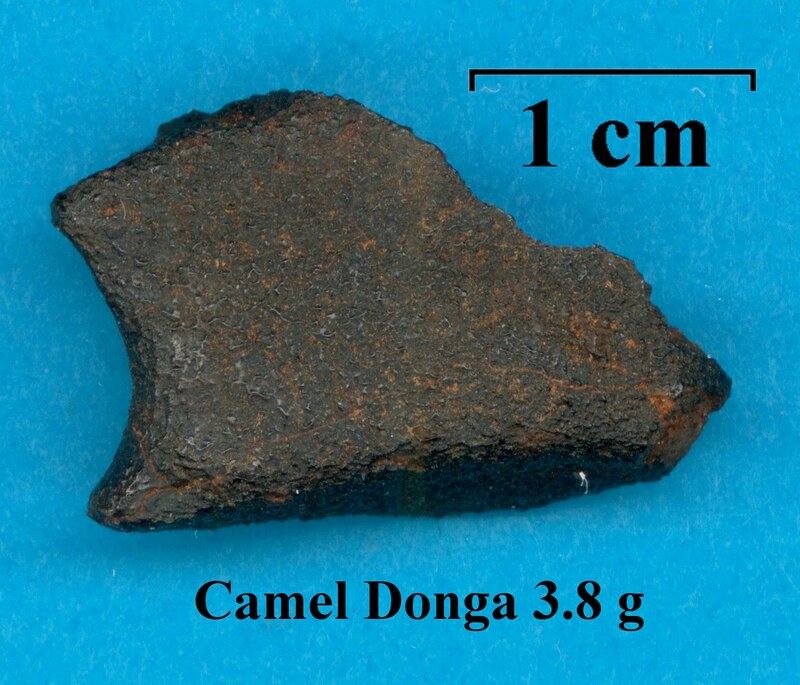 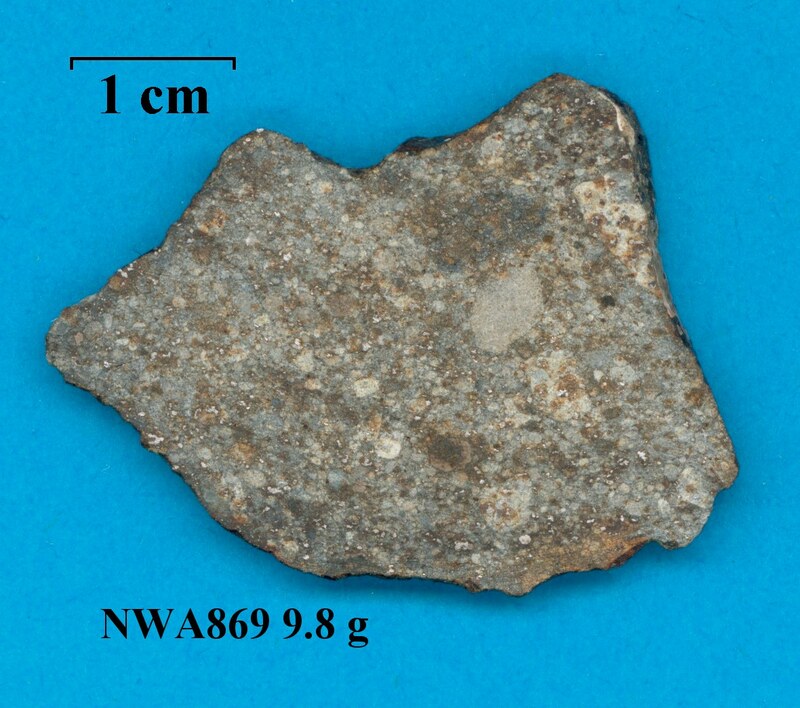 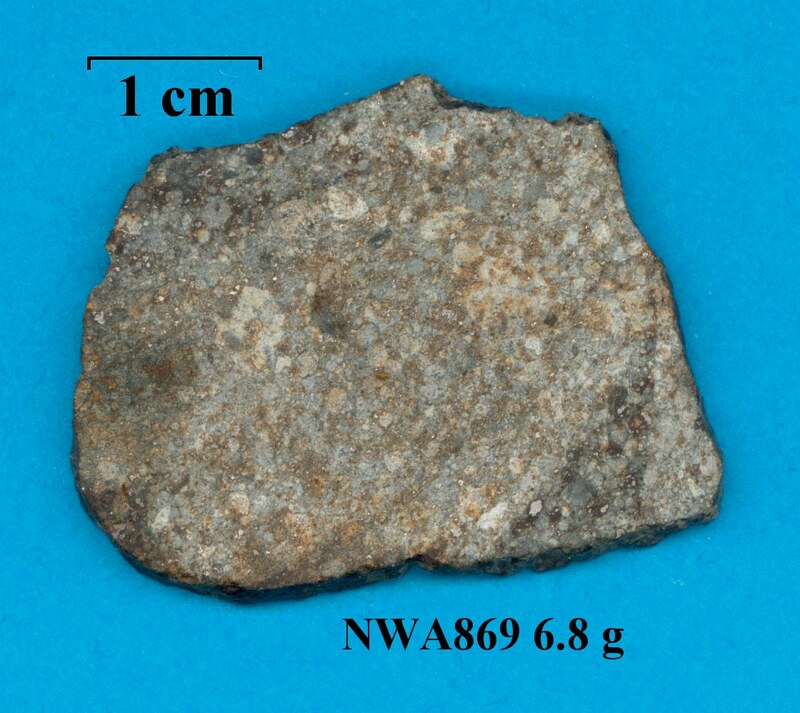 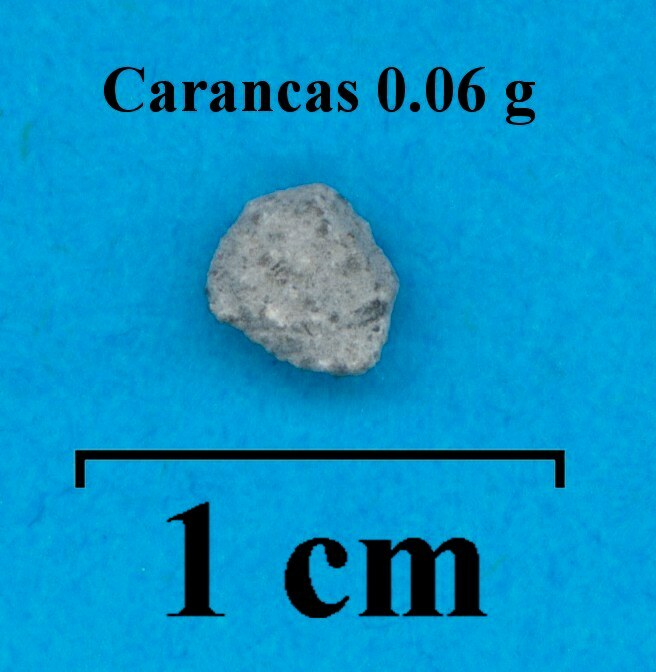 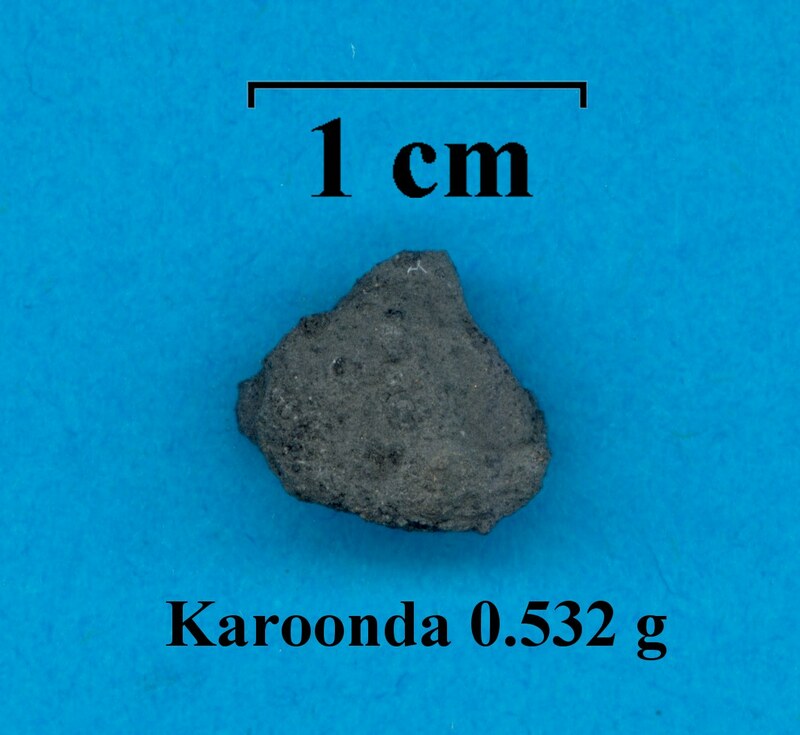 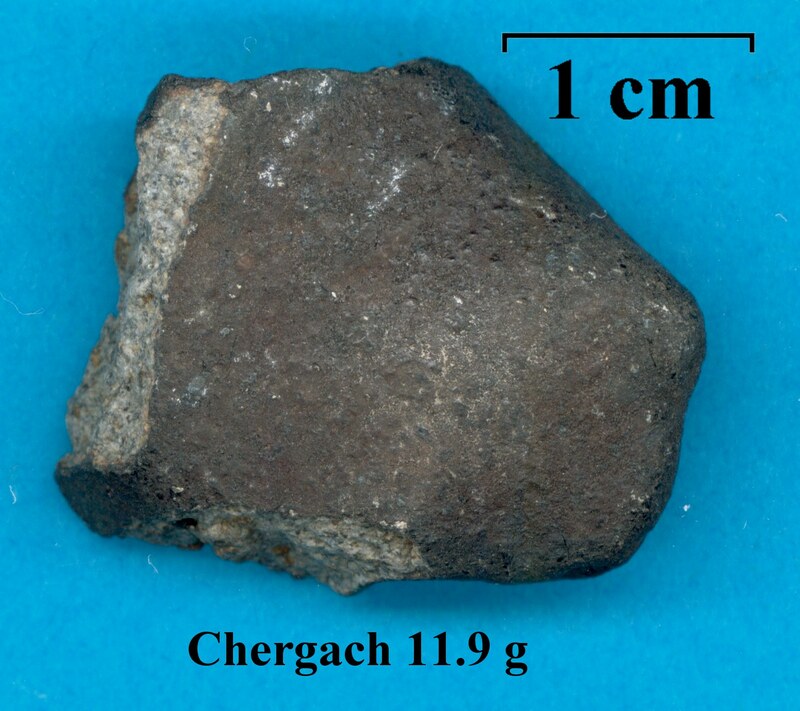 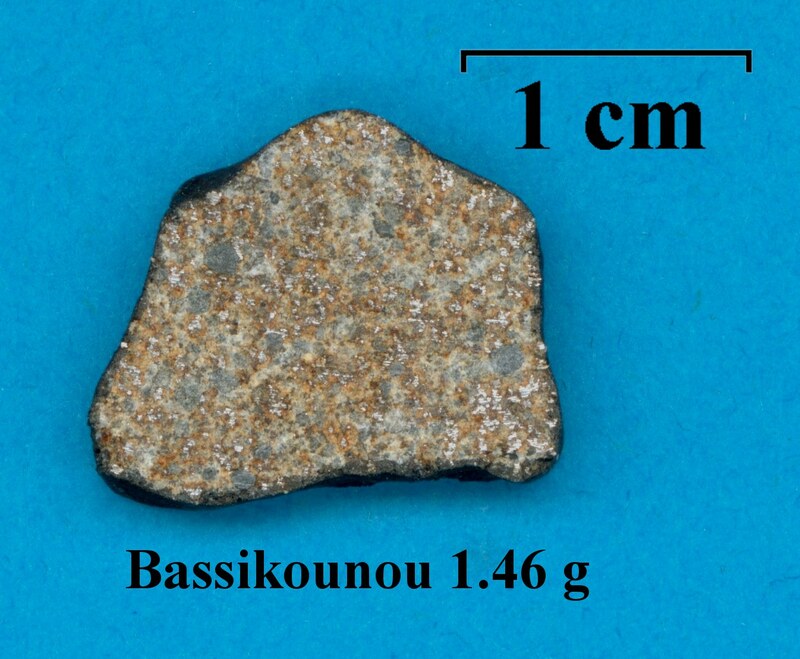 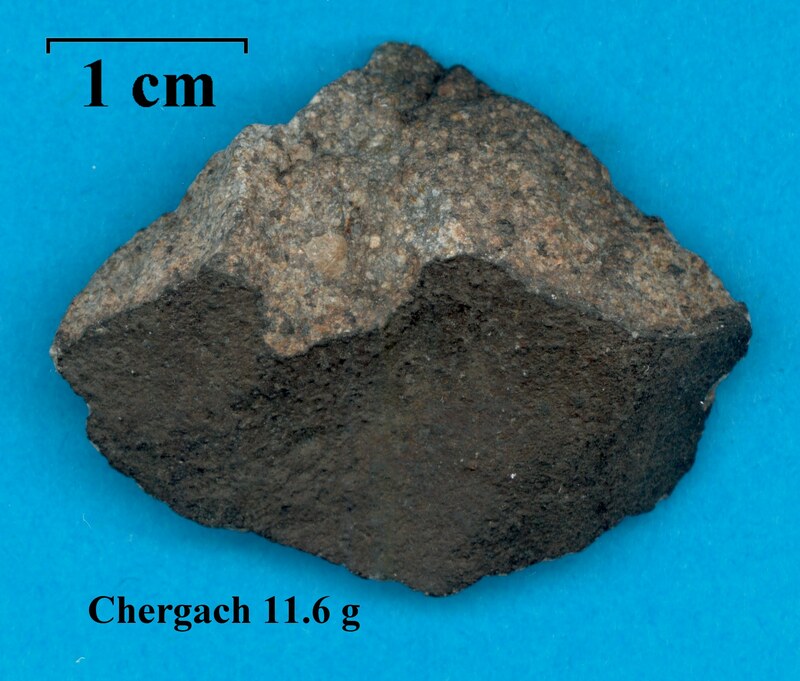 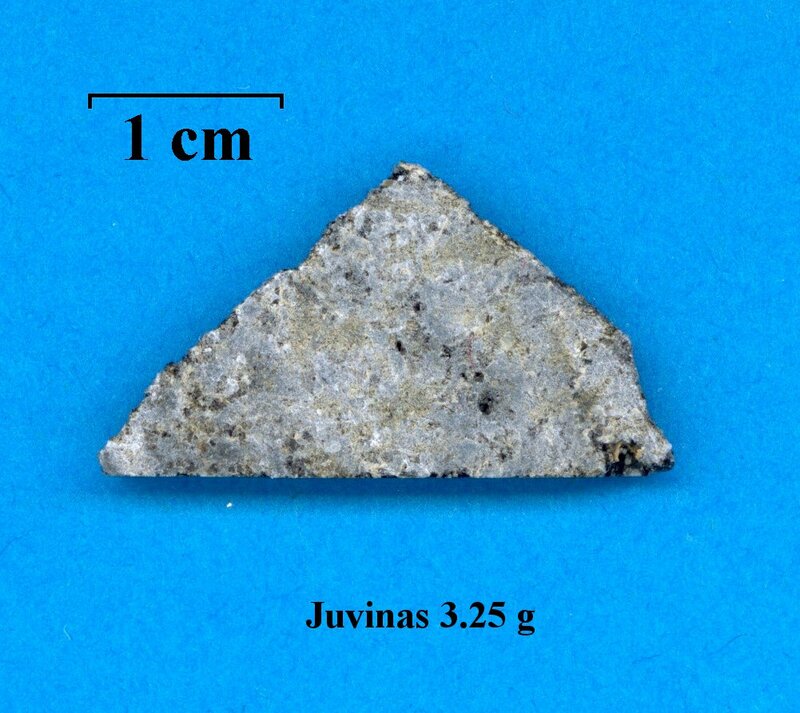 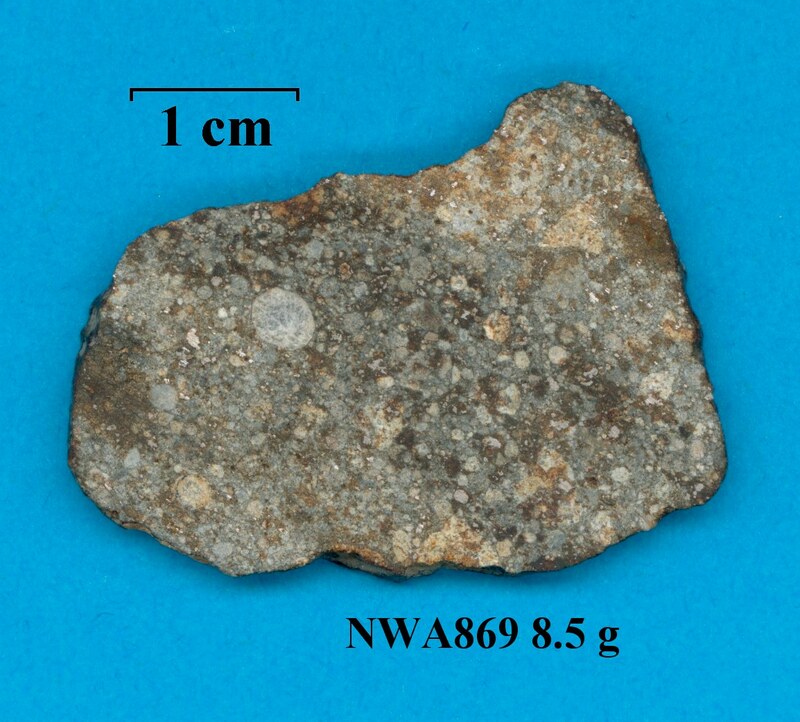 This meteorite fragment of 1750 g was found on July 14, 2002 after the calculation of its orbit and prediction of the strewn field by photographic records.